The Taliesin buildings and rolling hills of the 800-acre estate will be the backdrop for a weekend of iconic architecture and photography. The workshop will begin with an evening tour of Wright’s home, including a meet and greet with the instructor. Begin your artistic exploration at sunrise, with time built in to take sunset photos as well. You don’t have to be a pro, but participants must be familiar with using aperture, shutter speed and ISO. Participants must have a fully-manual camera, tripod and a laptop with Adobe Lightroom preinstalled. 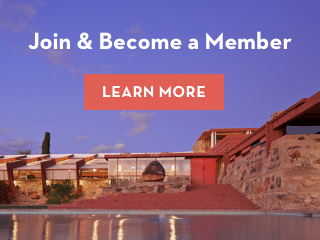 ABOUT THE INSTRUCTOR: Andrew Pielage specializes in architecture and travel photography, and has photographed more than fifty Frank Lloyd Wright sites throughout the United States. His work is published in newspapers, websites, and magazines, including Vanity Fair.